We took a train from Budapest-Déli station (Budapest-Déli pályaudvar) to Székesfehérvár, changed trains, and then took an adorable tiny train bound for Tapolca – but got off at Balatonfüred. At Balatonfüred we took a local bus to the peninsula (getting off at the Post Office/Posta stop). Total time to get to Tihany: 3 hours and 11 minutes. Total cost of transportation: 5.865Ft ($26.19). 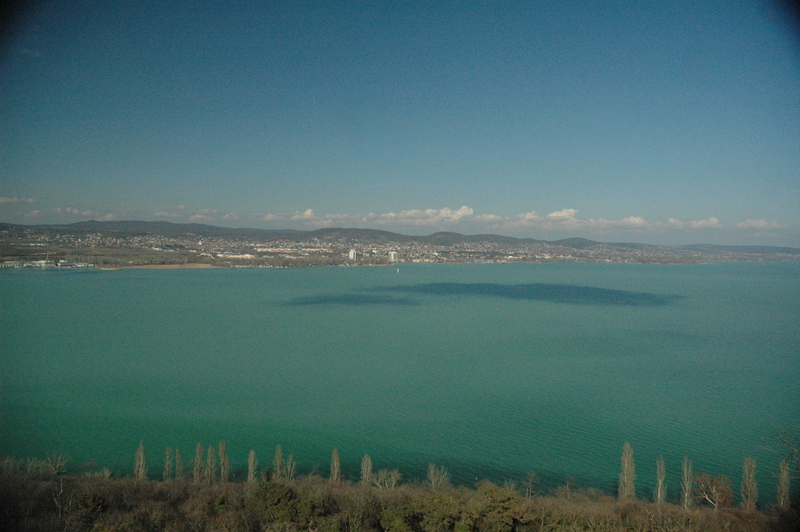 I have seen Lake Balaton from an airplane (on my way back from Paris last June), but being in the presence of it all made my heart skip a beat. All of the conditions were perfect, even the weather: “not too hot, not too cold – all [I needed was] a light jacket.” The first place that we came across was the Benedictine Abbey (Bencés apátság), but unfortunately it was closed for repairs. This abbey, the symbol of Tihany, was established in the 11th century by King Andrew I. (I. András király). King Andrew I. is buried in the crypt below the church. The Abbey as we know it today was built in the middle of the 18th century. Disappointed but not defeated, we moved on to the famous “echo” which is created from sound bouncing off of the abbey’s walls. 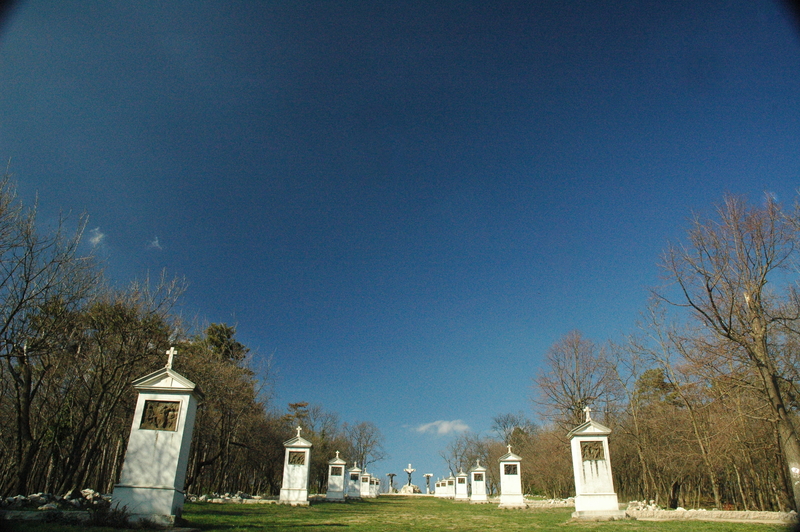 This phenomenon has been documented by Hungarian poets like Garay János and Csokonai Vitéz Mihály. I tried to hear my echo, but to no avail. A couple was in front of me taking pictures, so I was essentially just yelling at them. Beyond happy to see water. I LOVE WATER. We moved on into the hills to search for the Hermit Dwellings (Barátlakások), but were stopped in our tracks by one of the largest crucifixion statues I have ever seen. In my time roaming around the Hungarian forests, I have seen a good number of randomly placed Christian symbols, churches, etc. For my 24th birthday, my friends and I happened upon a church in the forest. 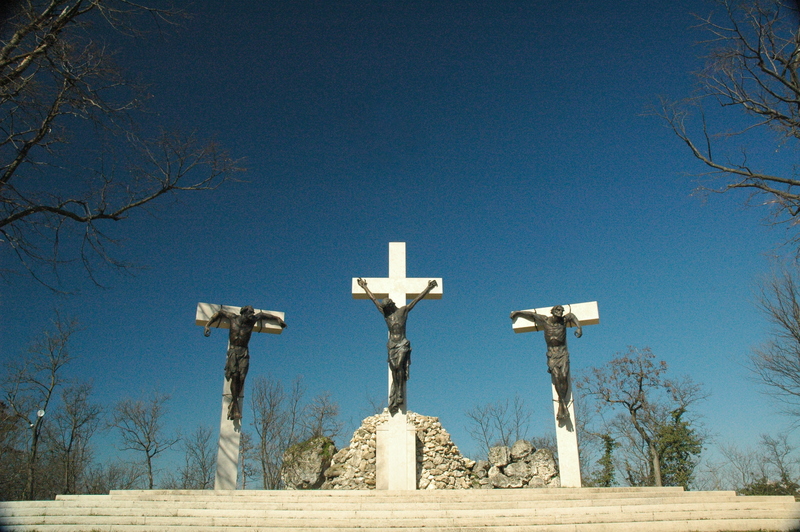 The crucifixion statue was at the end of several monuments – each depicting a station of the cross. On the way to the Hermit Dwellings (that I will explain in due time), Jolan and I came across views that not only made me giddy, but tear up a little bit. I told Jolan that if she hadn’t of come, I would have cried – I have to keep up appearances after all. Within the peninsula, there are two additional lakes: Inner Lake (Belső-tó) and Outer Lake (Külső-tó). The hike lasted about 50 minutes there and 30 minutes back. To all of the couples of the world: it’s a romantic place. How do I know? To begin with, the views are beyond majestic. Second of all, the hike isn’t so difficult that you need an inhaler/oxygen mask (…my Slovakian hiking experience in the Fatras…). Lastly, I saw several couples snogging/sucking face/making out. After dodging the romance, we came across the Hermit Dwellings. 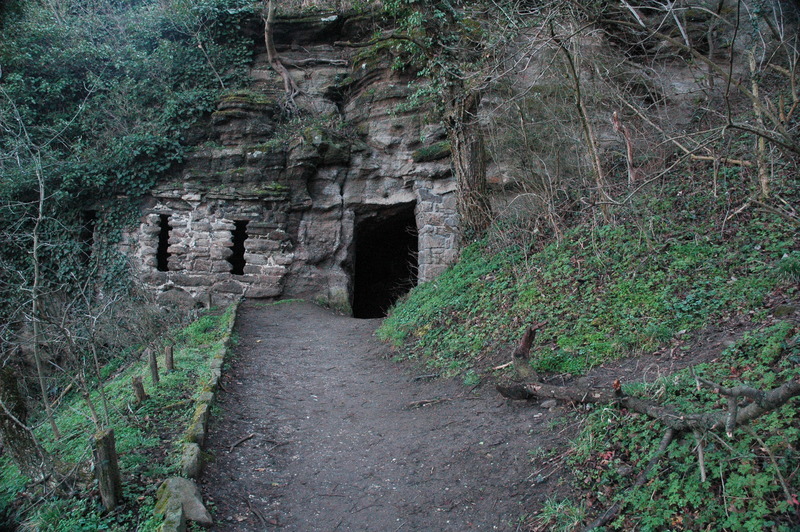 Located in a cliff, these man-made caves housed Greek Orthodox Russian monks around 1050AD. My sheer excitement made me scale a couple of rocks/jump around like a mountain goat – my older sister, Maricel, would have been so proud. She did, after all, almost kill me in Tallulah Gorge (has been previously mentioned – I will continue to use it against her forever). 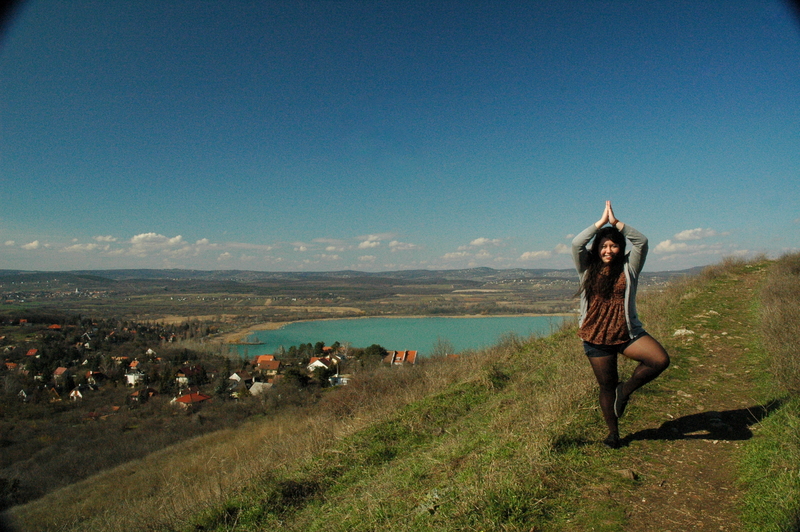 Jolan and I trekked back, roamed around Tihany for a little while longer, and then made our way back to Balatonfüred. 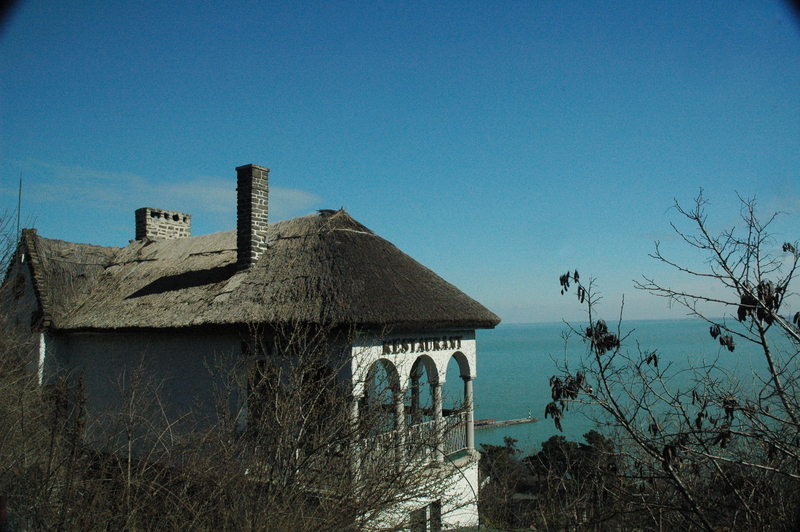 Balatonfüred, well-known for its Mediterranean-like climate and mineral springs, is a popular destination for tourists. Travelling about, I know a place is touristy to some extent the moment I hear an announcement in English. Where I live in Budapest, I am probably one of the only native-English speakers (I live 40+ minutes away from the city center – where visitors usually mingle). 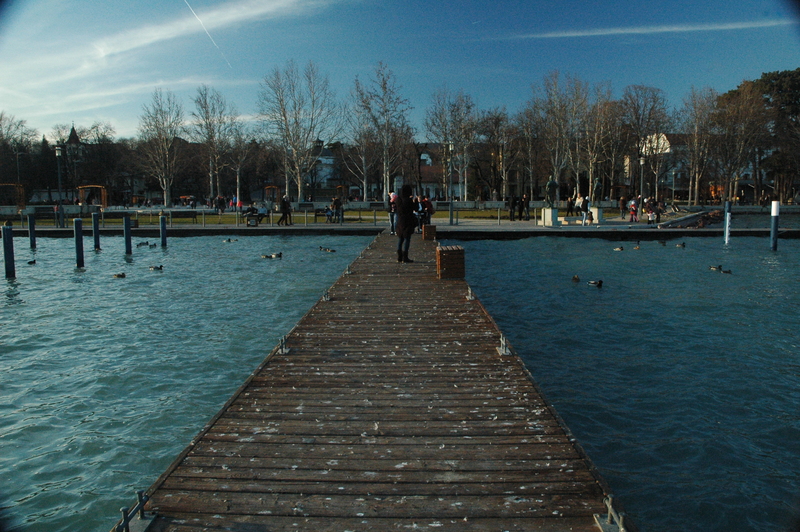 We ate pizza at a local pizzeria (I had my first tuna pizza = YUM), walked around the docks, and then made our way back. Jolan amidst all of the bird poop. 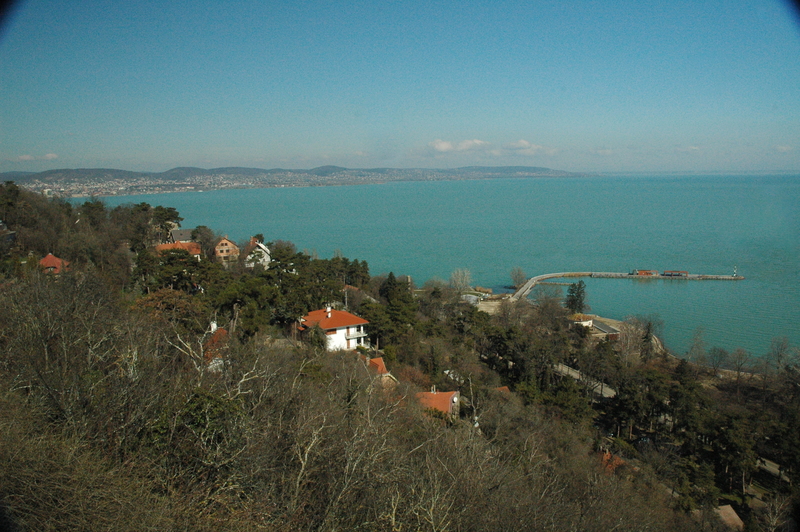 I highly recommend visiting Lake Balaton, and more specifically: the Tihany Peninsula. If you plan on coming to Hungary, I beg of you to not just visit the capital (even though it has my heart). I will forever make the argument that you cannot truly experience all that Hungary has to offer by just staying in Budapest. This advice of course extends to anywhere you visit in all corners of the world.Oh, one more thing: My blog has finally reached 10,000 hits! 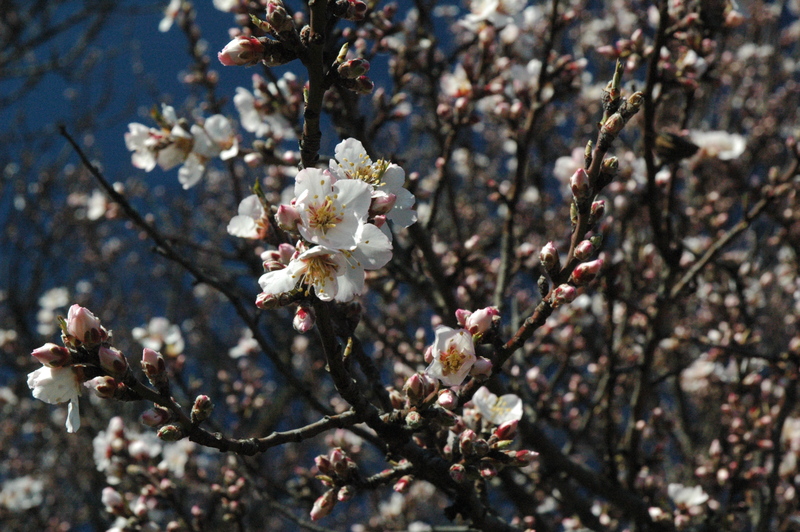 Thank you, Köszönöm szépen, Gracias, Salamat sa iyo! Say yes to crepuscular rays! A Lesson From Miss Jennifer: If you are going hiking, wear shoes with decent grip. 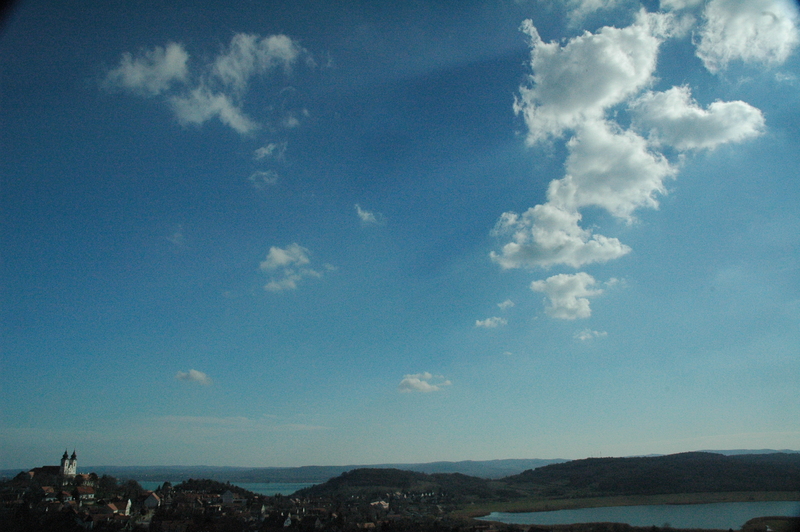 I wanted to go to Tihany, but I never did make there or to Balaton at all. Oh no! 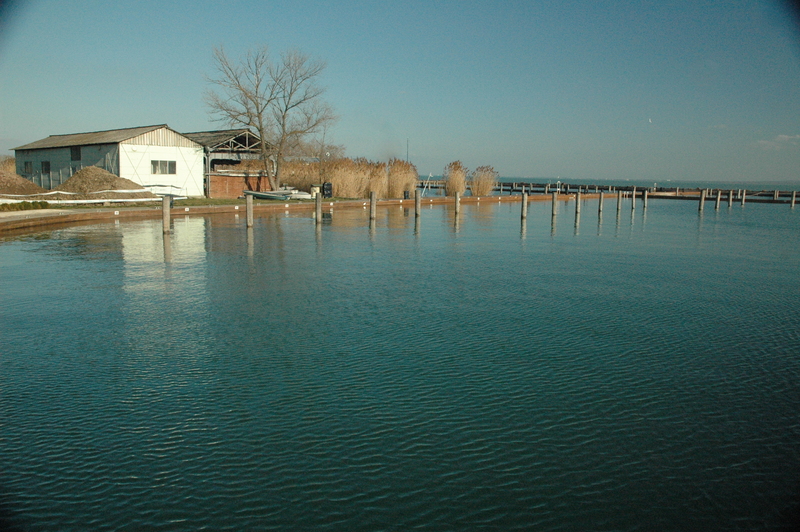 Lake Balaton is wonderful. The water is such a lovely color. 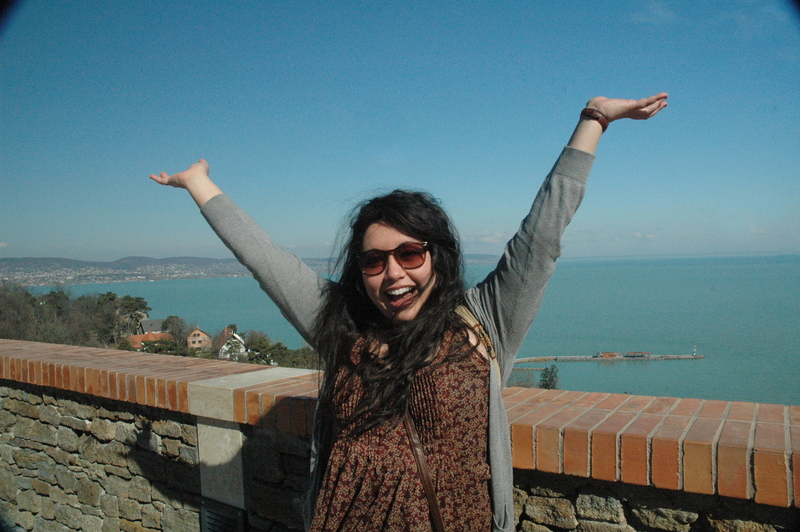 My favorite parts of Lake Balaton are the mountains/villages/vineyards on the west coast. Breathtaking.